Today I held Brinks (on the right in photo above) in my arms while he went to join Pimmy wherever doggies go when they leave us. This was handled as kindly as anyone might wish, and Brinks was not afraid, nor was he uncomfortable. I whispered things in his ear the whole time at the vets office, and even before, about going to find Pimmy, his litter-mate sister who preceded him to Doggie Heaven, or whatever the dogs call it. Here is the stand of trees I dug a deep hole at the base of, and where I placed a swaddled Brinks, and covered him with sandy loam, planting Pimmy’s memorial Rosemary plant above and placing a concrete cat sculpture nearby to keep vigil. Pimmy loved the herb rosemary very much, drawn to it from puppyhood, and even falling asleep under one when she was a tiny puppy, getting “lost” for a while until we found her snoring away there. 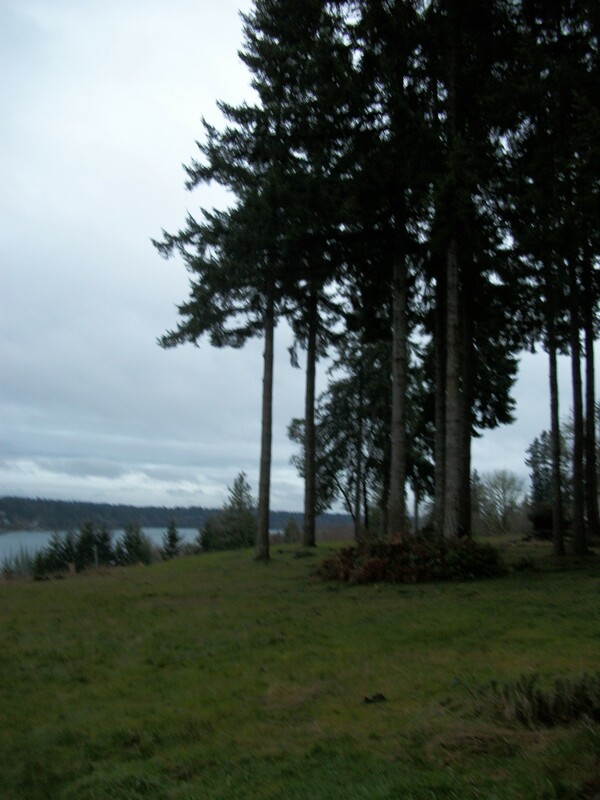 So she gets the rosemary and Brinks gets his obsessively valued and close-kept latex ball and there they are together in this outstanding place overlooking Puget Sound’s southern waters, with the Cascade Range stretched across the horizon beyond, to the east. I did the digging myself. Alone. It seems right, and helps the grieving process to work hard to dig a grave. I never realized until I buried a pet long ago why it’s good to have a physical place where a beloved living creature was put. You know. That’s why it is important. You know where they finished up their living on earth. And you know they are not here any longer, for sure, if you have put them in that spot yourself. 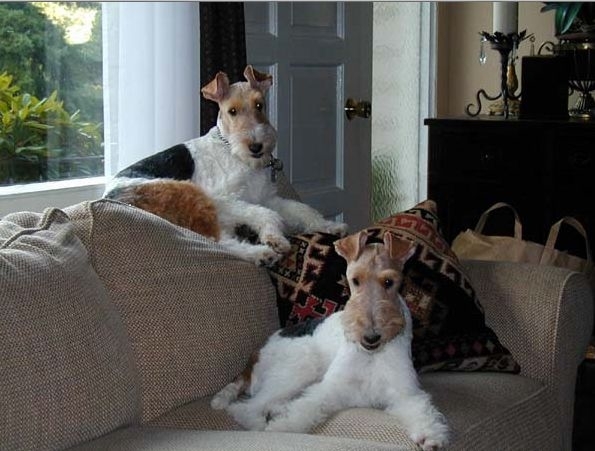 I just am sure of this: Since God made dogs such fine, noble, forgiving, loyal, brave, cheerful companions for humans, He surely planned a good place for their perfectly wonderful spirits to live when their bodies give out. That a dog has a spirit is absolutely undebatable. A dog is the epitome of spirit, with the joy and effervescence and the essence of gladness and thanksgiving expressed as wags and jumps and intense connection with his human. 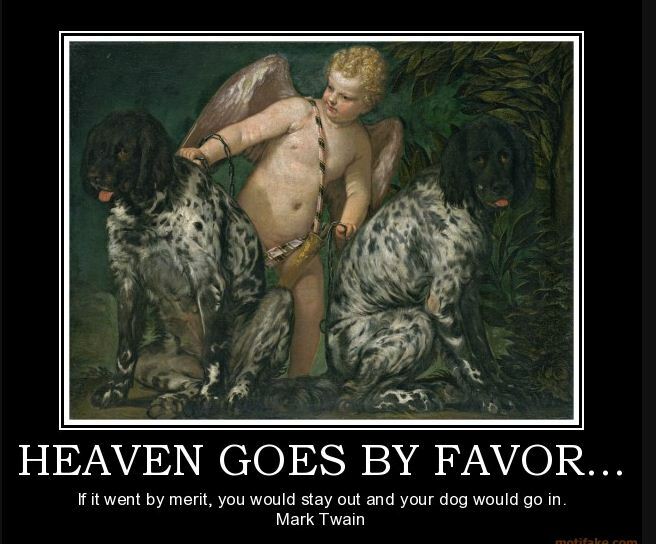 So I tell my housemate that I am with Mark Twain on this, even though I can’t find a Biblical piece of evidence of dogs in heaven. I find horses there (as in the Horsemen of the Apocalypse), and so why not dogs? But the horses had a job in Revelation, and so they were mentioned. The dogs are busy doing doggie things like jumping for joy, and greeting their people, and sleeping under rosemary plants. At least that is the best I can do at imagining what is in store for these beloved creatures. I will sleep OK tonight, knowing Brinks is not hurting, or afraid, or lonely, or limited by a badly aged body. He went “nighty night” and was sent with the suggestion in his ear to “go find Pimmy now”. This is something he could relate to. He has been looking for her since she left us some months ago. It gave him a job to do while they were putting him to sleep. And he did a good job of it too. I weep. But that will pass.